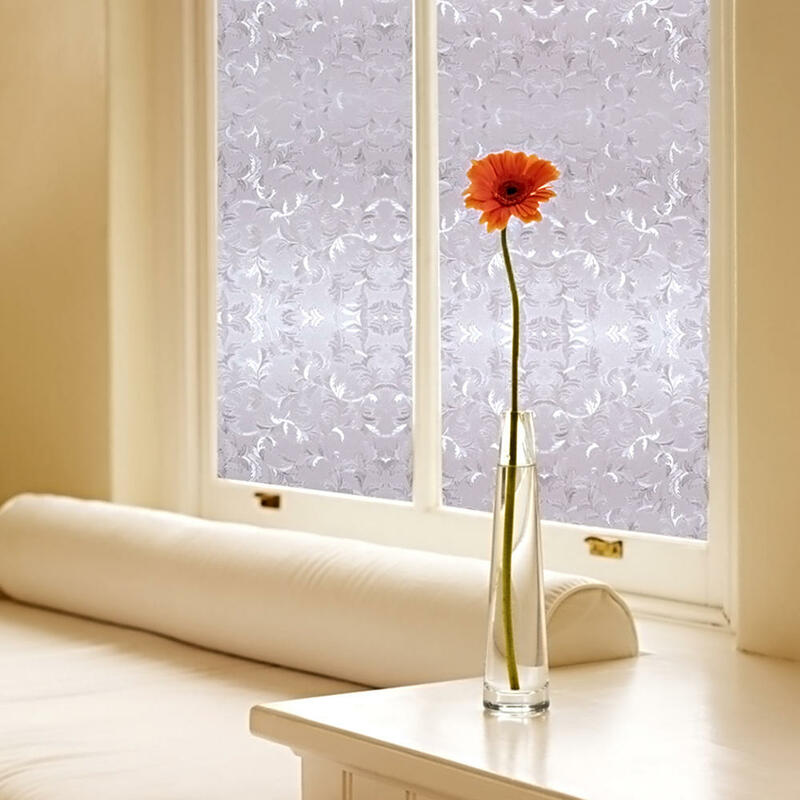 ›LIVINGbasics™ 3D Static Decorative Privacy Window Films with Heat Control Anti UV , 24" x 79"
LIVINGbasics™ 3D Static Decorative Privacy Window Films with Heat Control Anti UV , 24" x 79"
This Window Film/sliding door panels which creating privacy window plastic film that is easy to apply, virtually mess-free and there's no adhesive, so it's removable!Your decorative privacy film is not affected by moisture and steam from temperature changes or showers...no peeling, no bubbling...just a beautiful etched glass treatment for many years. ---Measure the length and width of the window or the glass that you wants to apply the firm onto and cut the film into that size, you can keep the film approximately half centimeter larger than the applying surface and cut off the excessive parts after to get a better control on it if you are not experienced with this kind of job. ---Clean the applying surface thoroughly to remove all the dirt and grease before the application to get the desired result. wet the applying surface with water (water sprayer is highly recommended). ---Peel off the transparent protective layer on the film when all the preparation is done. ---Paste the film onto the applying surface slowly from top to bottom and press it tightly against the surface. ---Squeegee away the water and air bubbles with a piece of flat edge plastic card. ---Cut the excessive away if there is any.